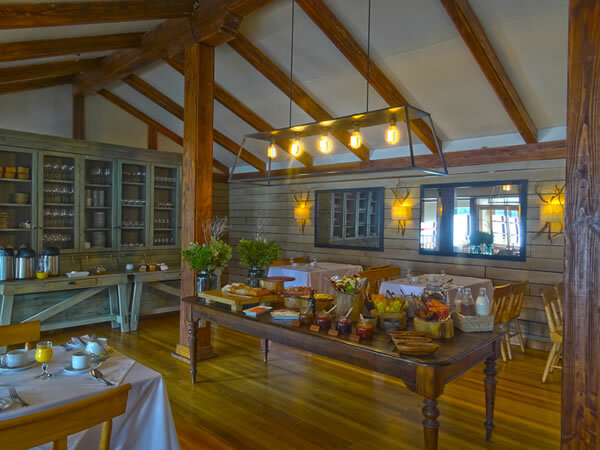 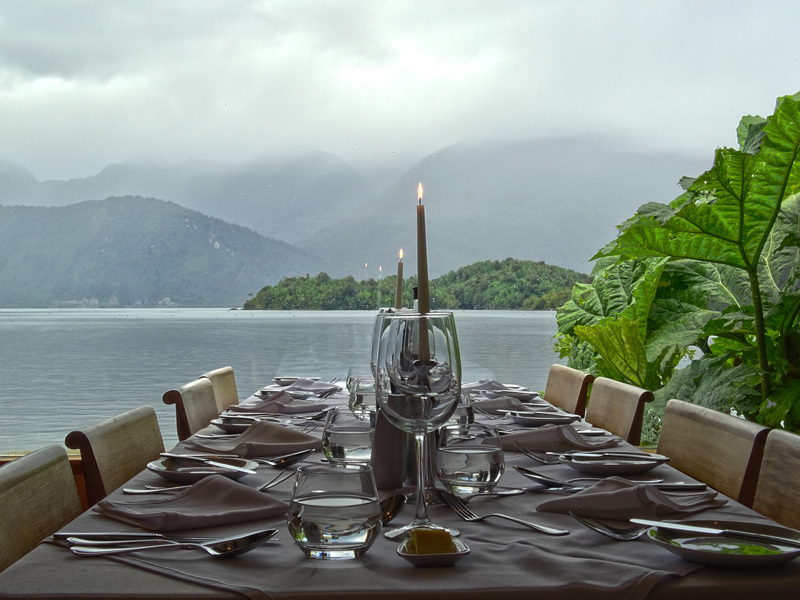 The gastronomy in Puyuhuapi Lodge & Spa is defined as a fusion of flavors that mix typical Patagonian and Chilean preparations with Mediterranean cooking. With the aim of optimizing supply logistics, the exquisite and delicate daily menus are made up of two alternatives that include starter, main course and dessert, where products, flavors, textures and colors are combined, and all this accompanied by a fine selection of Chilean wines. 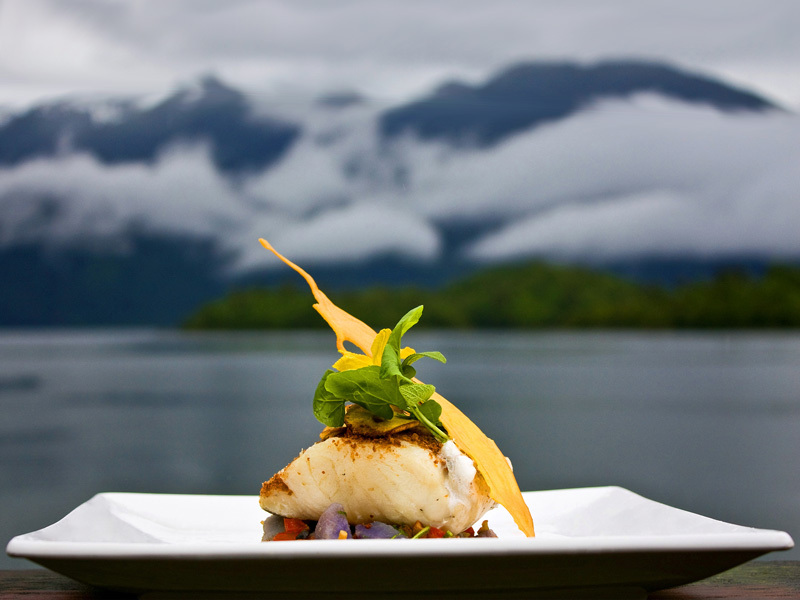 The gastronomy in Puyuhuapi is renowned for it`s fine preparations with fresh products extracted from the Patagonian fjords, like king crab, salmon, southern hake, and king clip (congrio), and by its lamb reared in the neighboring meadows. In Puyuhuapi Lodge & Spa we grow vegetables and herbs in our own greenhouse, and we use local products like rosehip, redcurrant, nalca, rhubarb, calafate, and cherries.